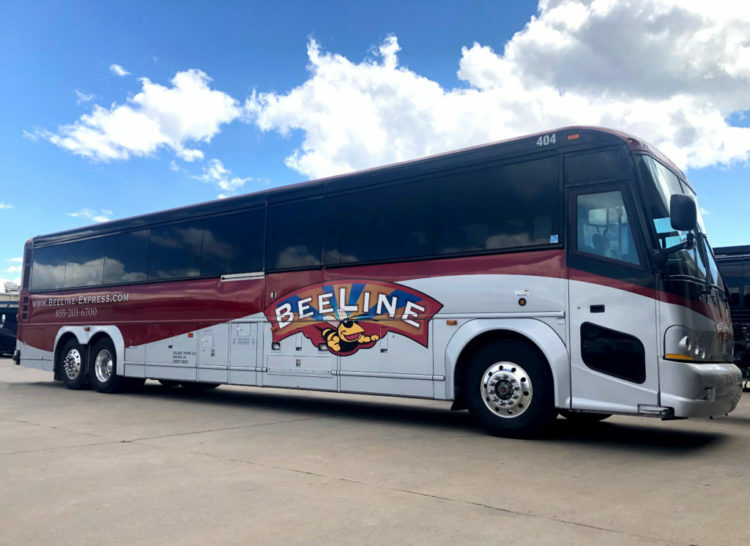 Since August 2018, Fort Scottians can take a bus to Wichita and Joplin and points in between on Beeline Express, seven days a week. The pickup point is Pump N Pete’s, 1920 S. Main on 69 Hwy. Riders can purchase a one-way ticket for $40 for the destination of Wichita, with stops at Iola, Eureka, and El Dorado, Lynch said. 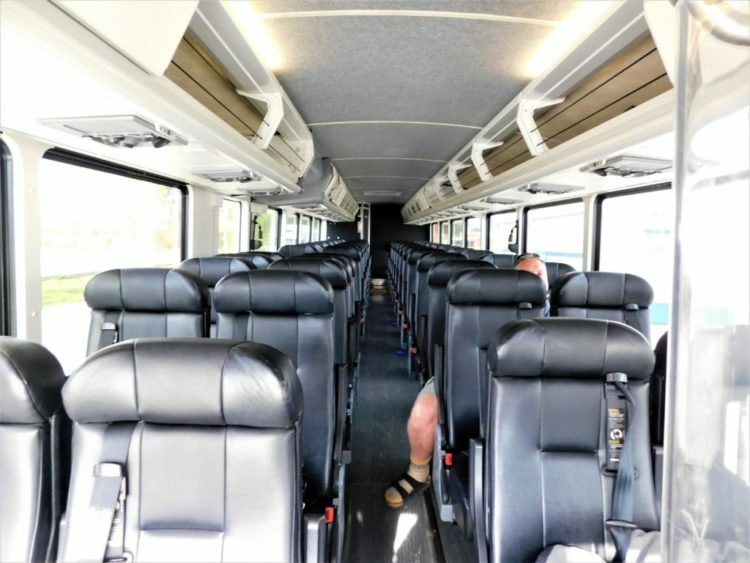 The 48 passenger bus has a restroom and electric chargers for phones, Lynch said. 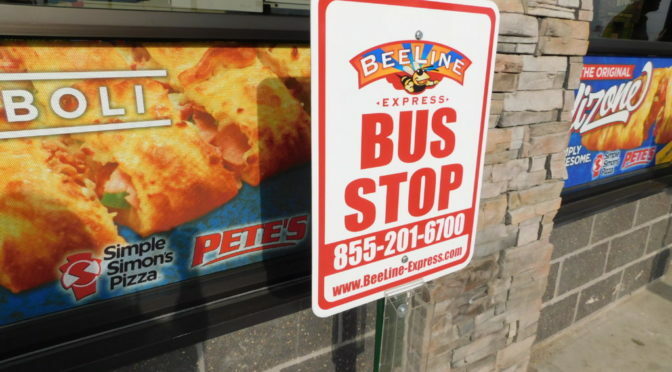 A photo of the inside of the Beeline Express bus at Pump N Pete’s on April 11. “A lot of people use it for Fort Scott to Joplin,” Lynch said. 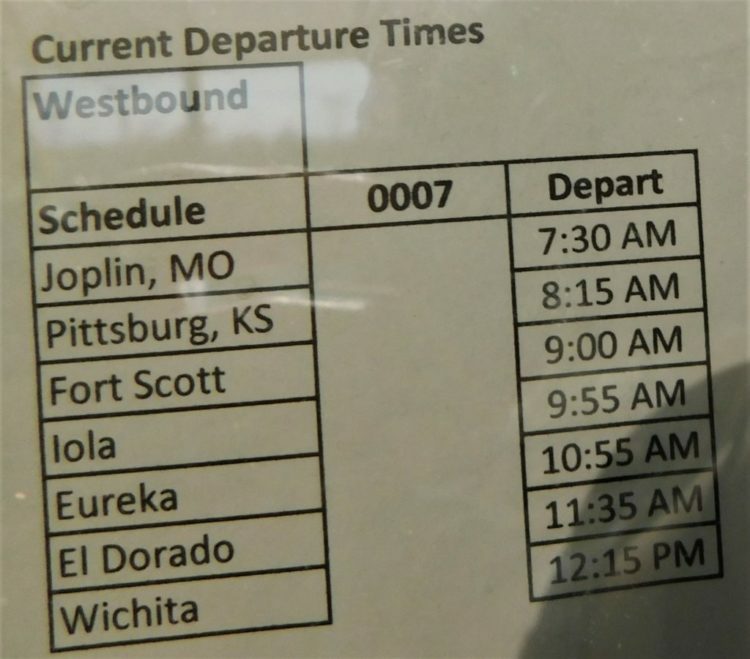 The cost of a ticket from Fort Scott to Joplin is $19, with a stop in Pittsburg. 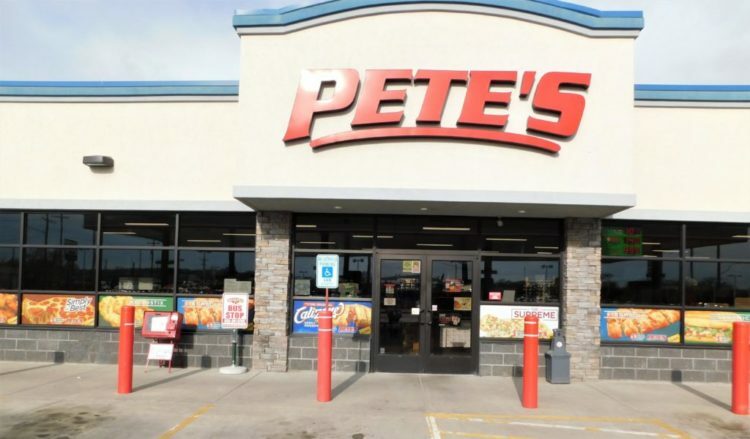 The bus arrives at 8:55 a.m. at Pump N Petes on 69 Hwy. and arrives at noon in Wichita. It leaves Wichita at 2:45 p.m. on its way back to Joplin. Pump N Pete’s, 1920 S. Main is the Fort Scott stopping place for Beeline Express. It arrives at 5:55 p.m. in Fort Scott to pick up riders and arrives in Joplin at 7:15 p.m. These trip departure times are posted in Pump N Petes, 1920 S. Main, Fort Scott, but have since been modified by five minutes. Pick up time in Fort Scott is 8:55 a.m. These trip times and prices are posted at Pump N Pete’s but have since been modified. The departure time to Joplin is now 5:55 p.m. The cost from Wichita to Fort Scott is reduced to $40 and Fort Scott to Joplin is reduced to $19. “A person can just show up, pay $40 and get on the bus to Wichita,” Lynch said. To pre-arrange phone 1-855-201-6700. The Beeline office number is 316-249-6774 with office hours 8 a.m. to 5 p.m. Monday through Friday. For more destinations past both Wichita and Joplin, go to http://www.greyhound.com to secure a ticket to all points in the U.S., he said. Tickets are non-refundable but may be transferable at the discretion of the ticket agent, according to information provided. 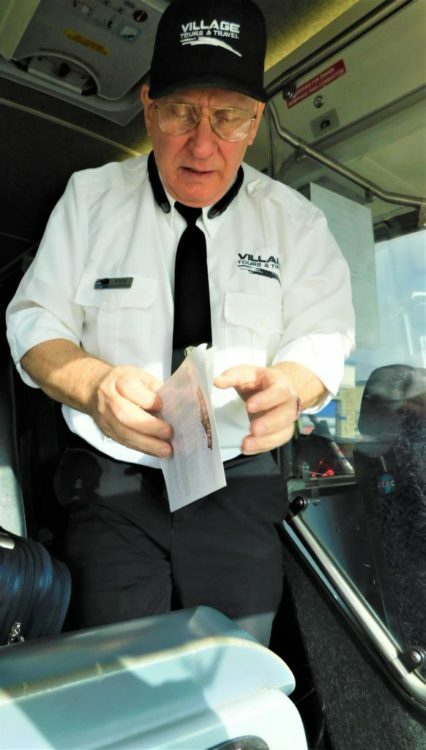 Steve Van Norden, a bus driver for Beeline Express, hands information to the reporter. 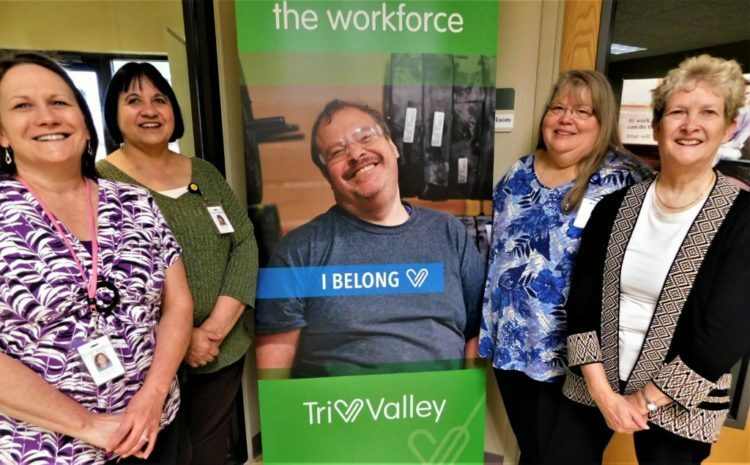 Some of the Tri-Valley staff: from left, Sue Schropp, receptionist; Grace Kramer, employment coordinator; Alene Jolly, director of day services and Barb McCord, horticulture therapist. Tri-Valley Developmental Services is having its’ bi-annual Gardener’s Christmas Auction on Saturday, March 30 from 9:30 a.m. to noon. 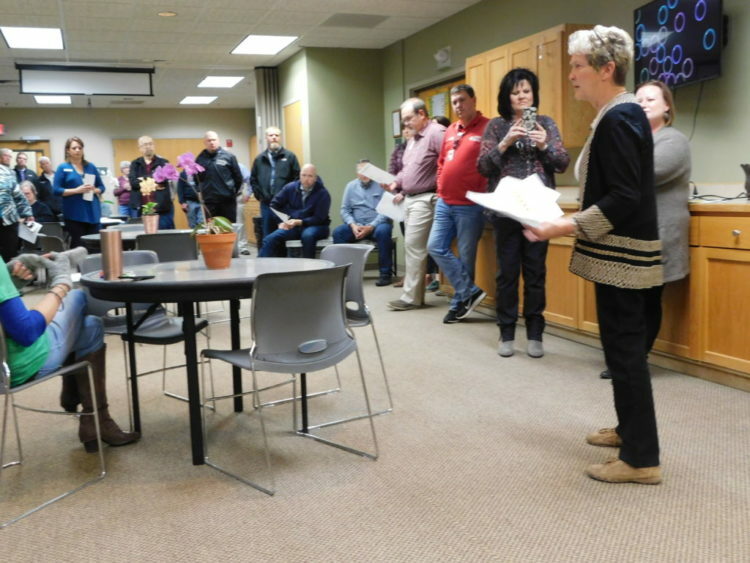 It is a silent auction and plant sale which will feature annuals, garden tools, silk bouquets, and home and garden decor, TVDS Horticultural Therapist Barb McCord told the Chamber attendees Thursday morning. Donations of gently used gardening items are sought by March 22 for the Compost Bin Market, which is part of the fundraiser. The Gardeners Christmas Auction will benefit the Horticulture Therapy Program, which serves those with intellectual disabilities. The Fort Scott Chamber of Commerce members take turns hosting a weekly coffee where they can tell about upcoming events. 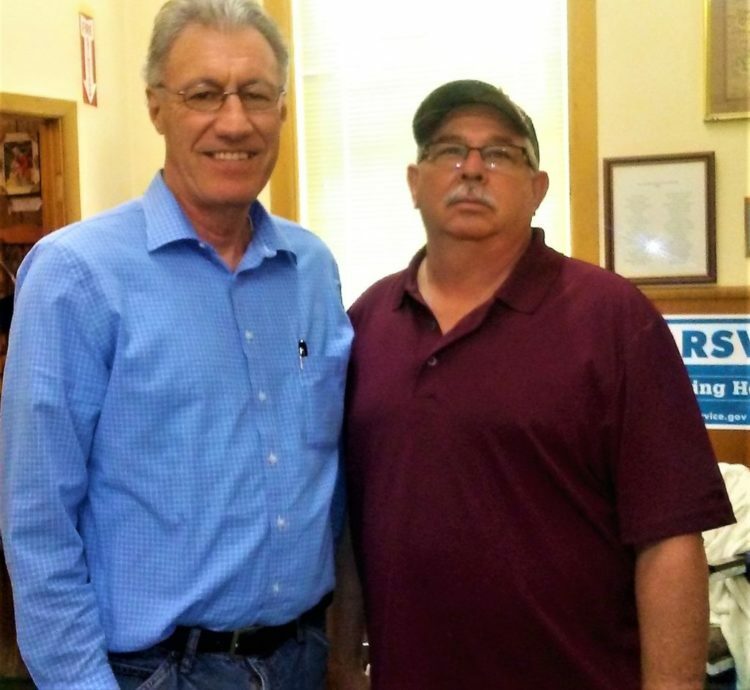 During the March 14 coffee, Knights of Columbus Member Mark McCoy presented TVDS Executive Director Tim Cunningham with a check in the amount of $932. 67. Cunningham told fortscott.biz the donation will be put in the foundation funds that supports TVDS and used “to build homes” for the clients, he said. Cunningham noted that TVDS has been in Fort Scott since 1978 offering services to people with developmental disabilities. There will be a golf tournament fundraiser on Sept. 14 at Woodland Hills Golf Course in Fort Scott, Cunningham said. Tri-Valley Horticulture Therapist Barb McCord tells the Chamber coffee attendees of the upcoming Gardener’s Christmas Auction on March 30. For more information call McCord at 620-223-3990 ext. 434. 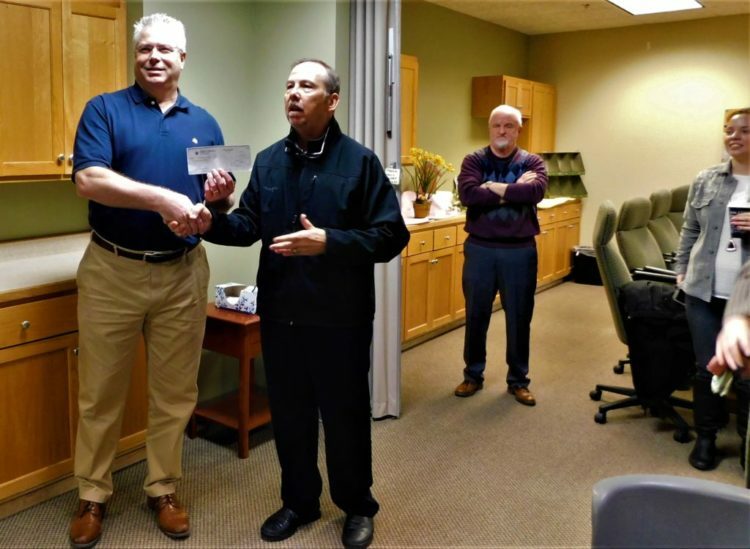 Tri-Valley Executive Director Tim Cunningham, left, receives a check from Knights of Columbus Member Mark McCoy at the weekly Chamber coffee. The check for $932 will be used towards building homes, Cunningham said. TVDS offers housing options for people with disabilities including community homes and apartments. 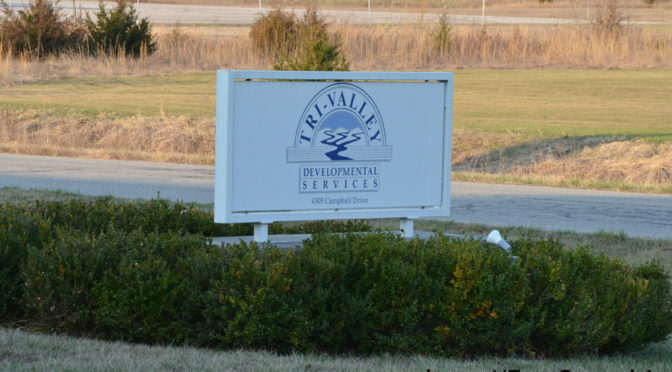 Tri-Valley Developmental Services, 4305 Campbell Dr., in Fort Scott’s Industrial Park. Work Continues On 69 Hwy. Workers were busy on Wednesday morning at the Cavalry Road intersection with U.S. 69, south of Fort Scott. Starting tomorrow, March 8, two more side road intersections with U.S. 69 Hwy. will be closed for reconstruction south of Fort Scott. This is part of the expanding to four-lanes project of the national highway in Bourbon County. 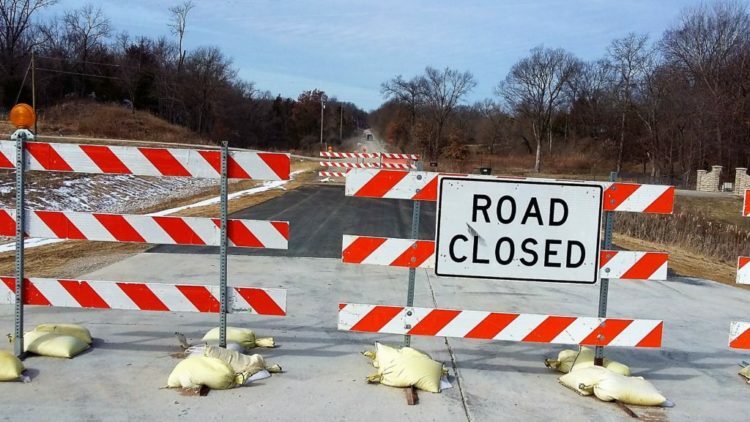 On Friday, weather permitting, the Kansas Department of Transportation (KDOT) plans to close the Fern Road and Deer Road intersections on the west side of the U.S. 69. 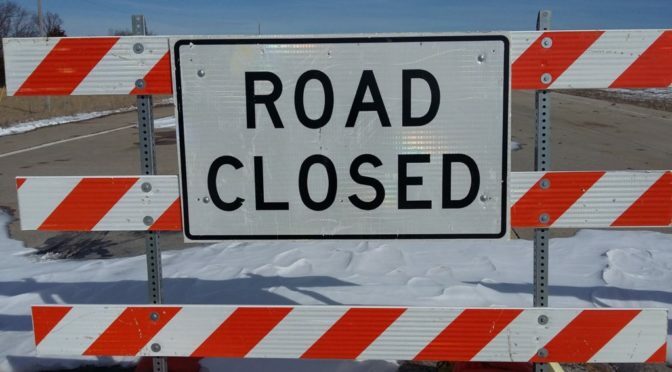 The two intersections will be reconstructed during the month-long closures, according to Priscilla Petersen, Public Affairs Manager for the Southeast District Office of the Kansas Department of Transportation. Fern Road where it intersects with U.S. Hwy. 69, will be closed for a month of reconstruction. Birch Road at the intersection with U.S. 69 on March 6. 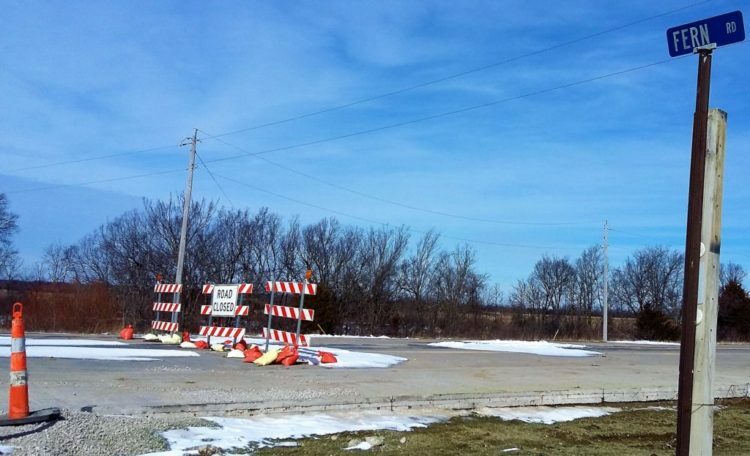 “The Bourbon County U.S. 69 expansion project should be open to four-lane unrestricted traffic by late May or early June, conditions permitting,” Petersen said. Next in line for expansion is the 11 miles in Crawford County of Hwy. 69. Koss Construction of Topeka is the primary contractor on the U.S. 69 project, which has a construction cost of $21.8 million. Persons with questions may contact Darrin Petrowsky at KDOT-Iola, (620) 365-2161, or Priscilla Petersen at KDOT-Chanute, (620) 902-6433. 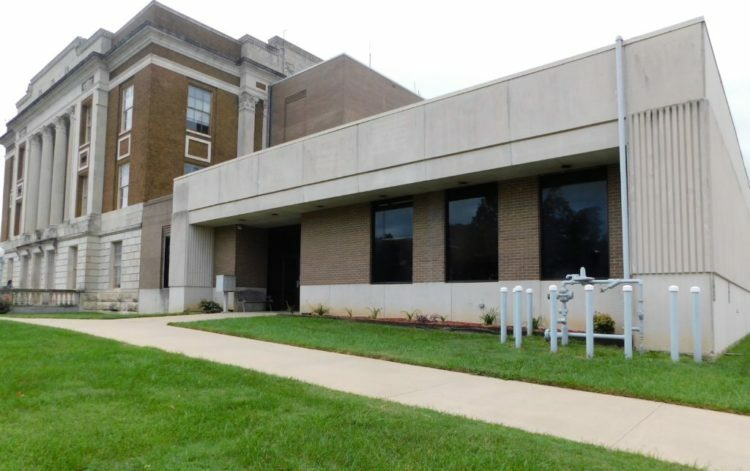 The north wing of the Bourbon County Courthouse has been reconfigured to house the county clerk, treasurer and commission offices. The Bourbon County Commission’s Economic Development Director has launched a survey to gather information from business owners to develop a strategic plan. The survey began March 1 and will end April 19, 2019. The survey is sponsored by the Bourbon County Commission, the Kansas Department of Commerce, with assistance from the Fort Scott Area Chamber of Commerce, Live Local Bourbon County and the Healthy Bourbon County Action Team. Survey results will inform the county on how to develop an economic development strategic plan and process. 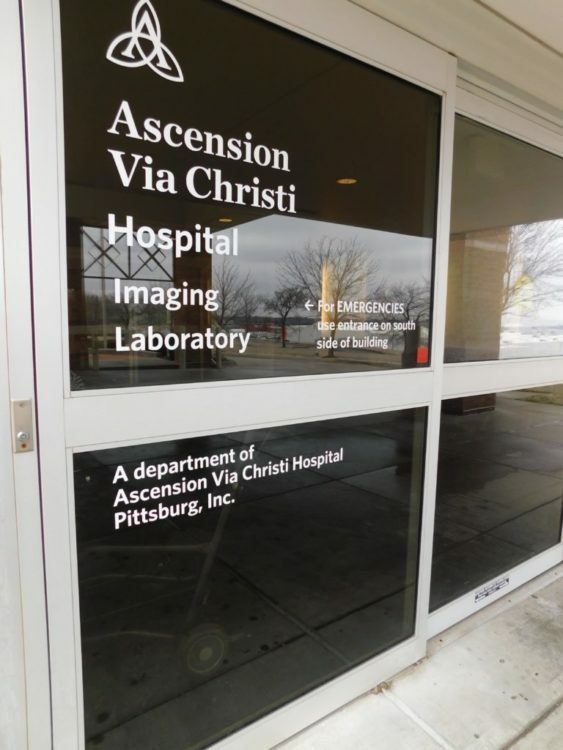 ” We will develop measurable goals with actionable items and report progress to the community through several communication channels,” she said. The target people for the Business Retention and Expansion Survey, is Bourbon County business owners, CEO’s, and upper management, she said. “That is everything from at home, e-commerce, farmers, ranchers, long term businesses, to our new healthcare providers,” Hoenor said. “Obtain a source of primary data to develop a measurable county-wide economic development plan. 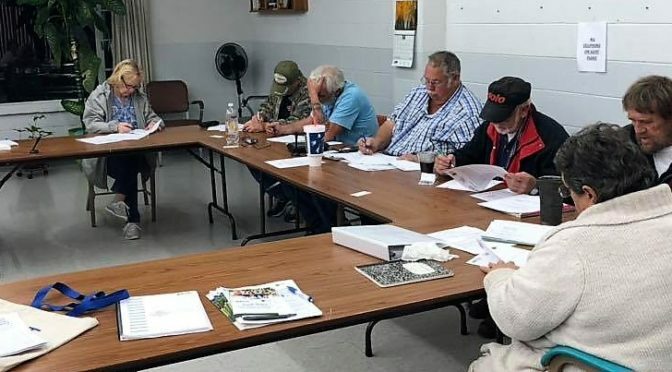 Aggregated regional survey results will be used to inform regional strategic planning with the Southeast Kansas Regional Planning Commission. Voices of business owners will be used to participate in the process of improving the business climate, validate local needs, and advocate for regional, state, and federal resources. Build and maintain strong relationships with businesses. Develop a better understanding of the concerns, problems and opportunities of businesses in the area and leverage perceived strengths with perceived barriers within the community. Confidentiality: Information will be protected closely so no one will be able to connect responses and any other information that identifies businesses. Responses will be combined with those of other firms to form an overall aggregate result in percentages, sums, or averages at the county and regional levels. Jody Hoenor, Bourbon County Economic Director. Interested survey respondents should contact Hoenor at jhoener@bourboncountyks.org for a link to complete the survey. 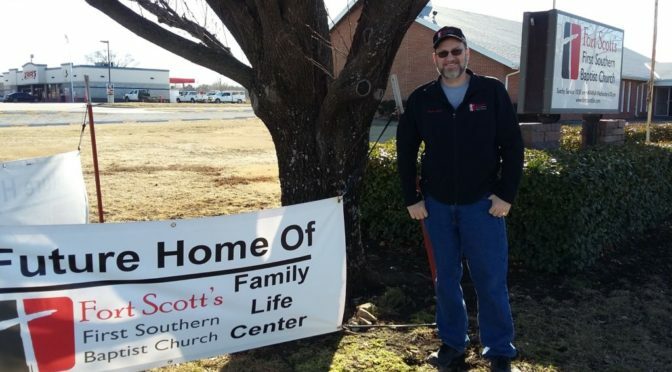 Fort Scott’s First Southern Baptist Pastor James Collins stands near the sign on the church property at 1818 S. Main. The congregation will be breaking ground on a new Family Life Center in April-May. A local church is expanding its’ facility because the congregation is growing. First Southern Baptist Church, 1818 S. Main, is building a new building east of the present one, which will be the FSBC Family Life Center. James Collins is in his third year of pastoring the church, and the church has grown from 12 to 130 people, he said. The church’s childrens program includes AWANA on Wednesday evenings. AWANA stands for Approved Workman Are Not Ashamed, from 2 Timothy 2:15 in the Bible. In addition to that growth, the Cornerstone Bible Church, at 6th and Horton, merged with FSBC after its’ pastor left. Ben Workman, the former pastor of Cornerstone Bible Church, was called to a church in Oklahoma, his home state. That congregation asked Collins to fill in preaching and help look for a new pastor. After a few months, when the pastor-less congregation felt like God was working in the First Southern Baptist Church congregation, “They wanted to be a part of where God was working,” Collins said. 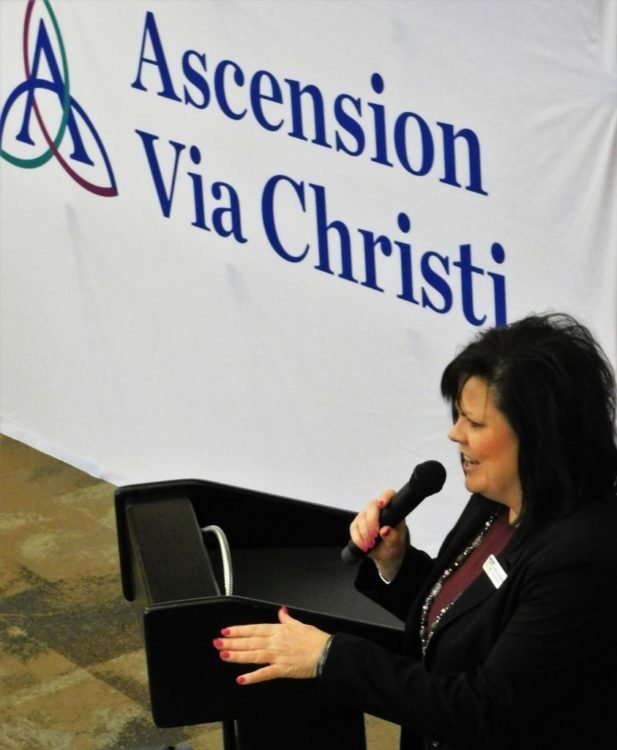 Approximately 25 people came from the Cornerstone congregation to the First Southern Baptist congregation, Collins said. An expansion was in the works. The new building will be two-stories and feature a multi-purpose room, classrooms and a kitchen and measure approximately 80 feet by 120 feet. The multi-purpose room will be used as a fellowship hall and gym. 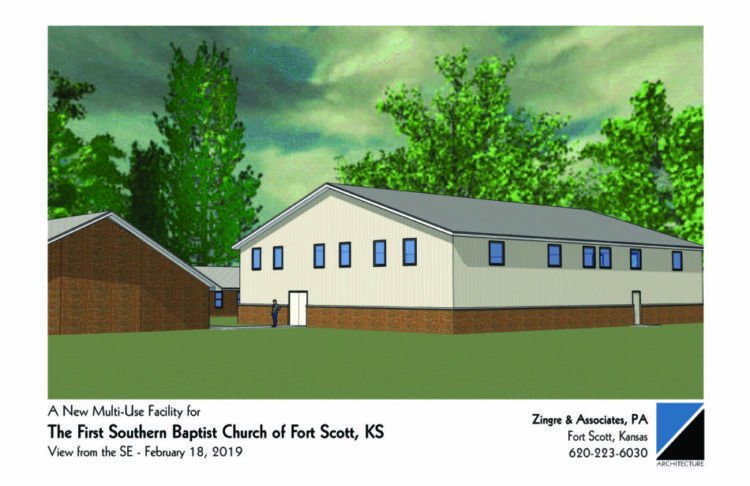 It will be built on the east side of the current church building. Groundbreaking will be in the spring. “April or May, hopefully,” he said. 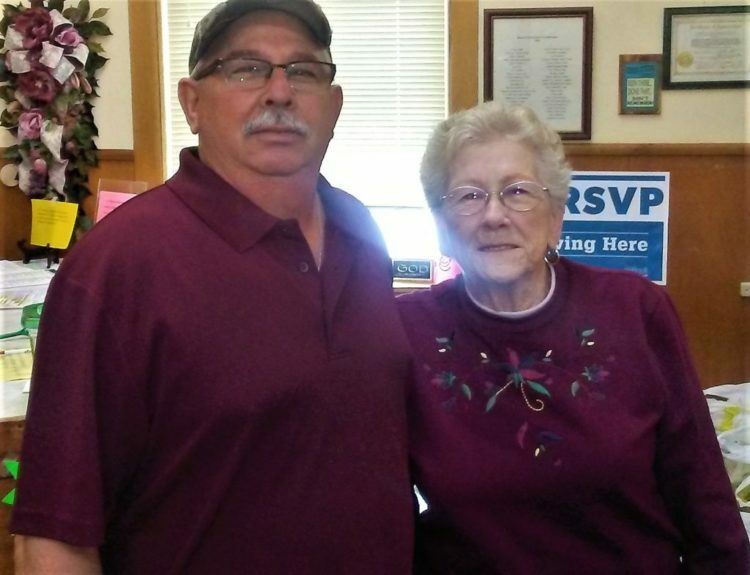 Fundraisers have been scheduled for the year including a recent pancake feed and the preparing and delivering of a luncheon meal to Peerless Products. In May the church will be part of the town-wide rummage sale and there will be a fundraiser at the Bourbon County Fair in July, he said. 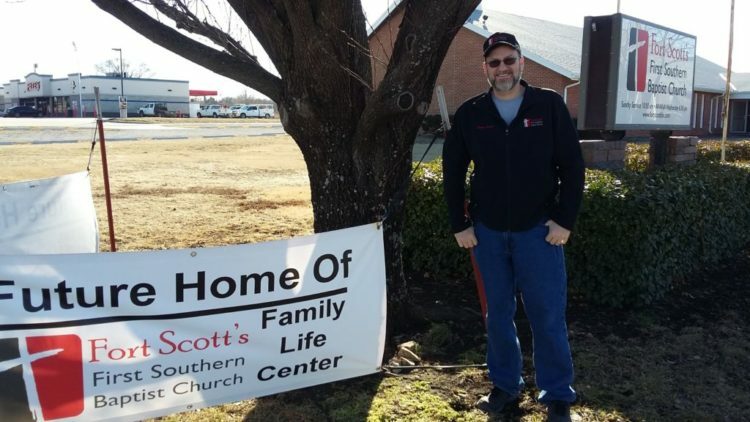 Collins believes God led him to Fort Scott. The pulpit committee asked him to come and preach. He and his wife Amanda have three children: Abby, 14 years old; Tim, 12 and John, 8. 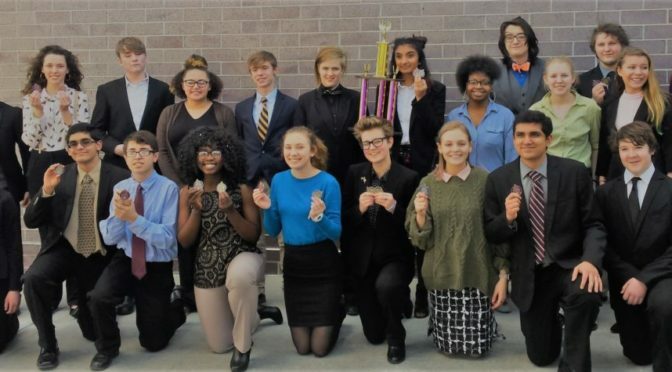 The Fort Scott High School Talking Tigers Forensics Team competed on February 23 and took first place in the sweeps, with 202 points. The event was held at Pittsburg High School. 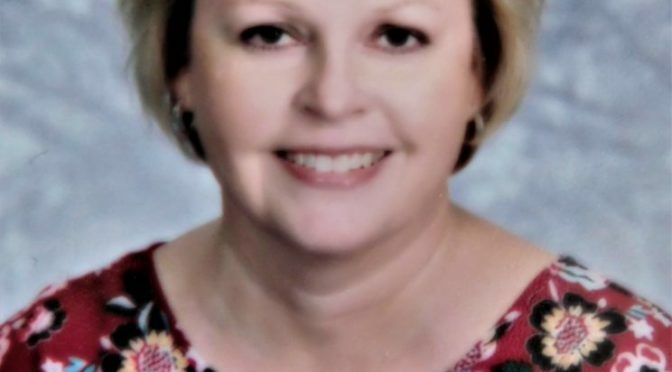 “For not being able to go out in over a month due to bad weather, this team really did an outstanding job!,” said forensics teacher, Angella Curran. *Elizabeth Ngatia place 2nd in poetry and 1st in Original Oratory. *Hunter Adamson placed 2nd in Dramatic Interpretation. *Karina Kantilal placed 2nd in Program Oral Interpretation. *Rebekah Sweyko placed 1st in impromptu and 2nd in Domestic Extemporaneous Speaking. *Shekhar Gugnani placed 1st in Foreign Extemporaneous. *Reaghn Dowell placed 2nd in Domestic Extemporaneous Speaking. Neil Gugnani placed 6th in Impromptu. Karina Kantilal and Audra McFarland placed 5th in duo. Thade Yates placed 3rd in Info 10. Audra McFarland placed 6th in Dramatic Interpretation. Dalton Womeldorff placed 5th in Domestic Extemporaneous Speaking. From left: Gary Murrell, Director and David Gillen, Food Packaging Specialist at the Beacon, 525 E. Sixth. The Beacon has a multi-decade history in Fort Scott as a helping agency to those with limited resources. This includes the agency becoming more consumer-friendly by adding evening hours on the 2nd and 4th Tuesday of each month, starting March 12. 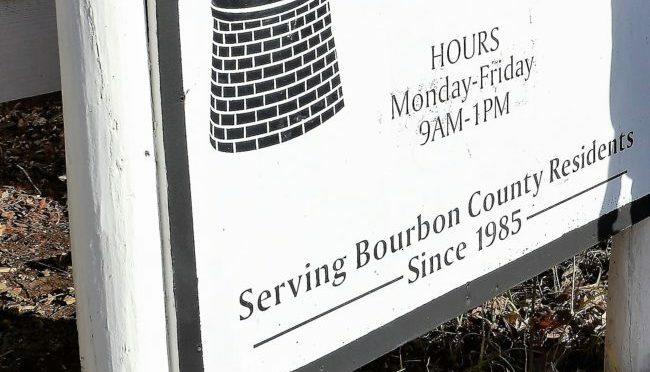 “On March 12, The Beacon will adapt its hours in order to become more “user-friendly” to Bourbon County residents,” MacArthur said. “Since a number of individuals have expressed a need for evening hours, the Beacon staff will open for full service twice a month between 4:30 and 7 p.m.,” she said. “We’ll be closed the Tuesday we are open in the evening,” said Garry Murrell, the director of the Beacon. Murrell will be available to provide service and assistance as he does during day-time hours. The Beacon provides a food pantry for the community. “We have a limited amount of meat, which we give until we don’t have anymore,” he said. Individuals, churches, businesses and others donate food throughout the year. “We have a lot of food drives to help us,” Murrell said. From left: David Gillen, Food Packaging Specialist and Sharon Farmer, Front Desk Receptionist at the Beacon. The Beacon also provides financial assistance, if the person qualifies, for utility bills, and occasionally rent and prescription assistance. The new evening hours will be offered on the 2nd and 4th Tuesdays of the month. To contact the Beacon, please call 223-6869. 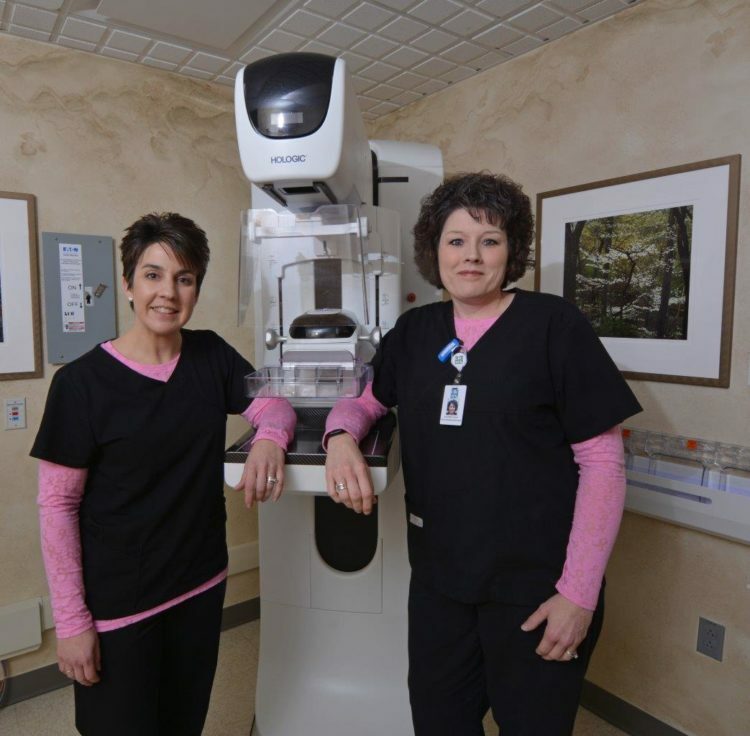 Pictured from left: Mammography Technicians Jennifer Dugan and Suzanne Quick. Together. they have 15 years experience and look forward to serving the women of Bourbon County and the surrounding area. 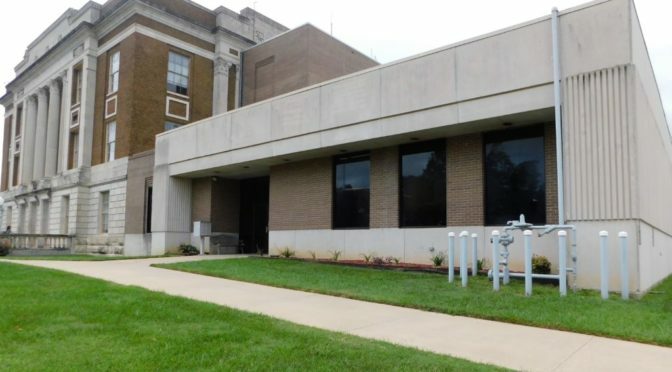 Women needing mammography services in Bourbon County and surrounding areas can once again schedule appointments for the procedure close to home. 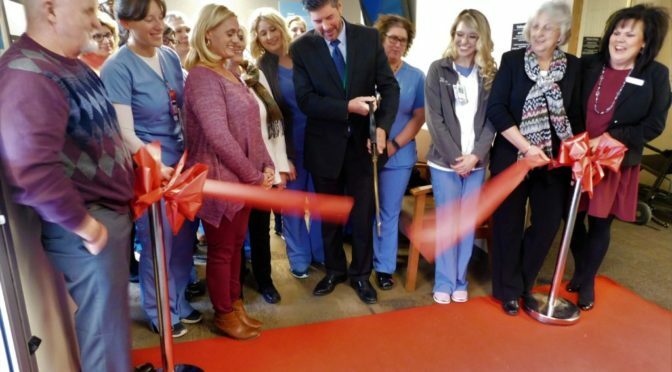 As part of the transition of services from Mercy Health System to the Community Health Center of Southeast Kansas, the hospital’s 3D Mammography equipment was donated to CHC/SEK. It remains in its original location and staffed by the experienced staff who have been responsible for the service for more than 15 years. 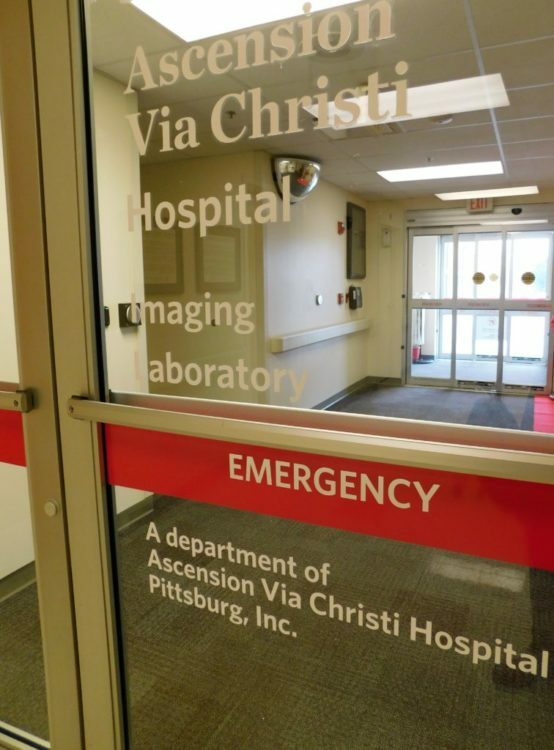 The equipment – considered the most advanced breast screening technology available – was funded when it was originally acquired through a gift from the Mercy Health Center Foundation. 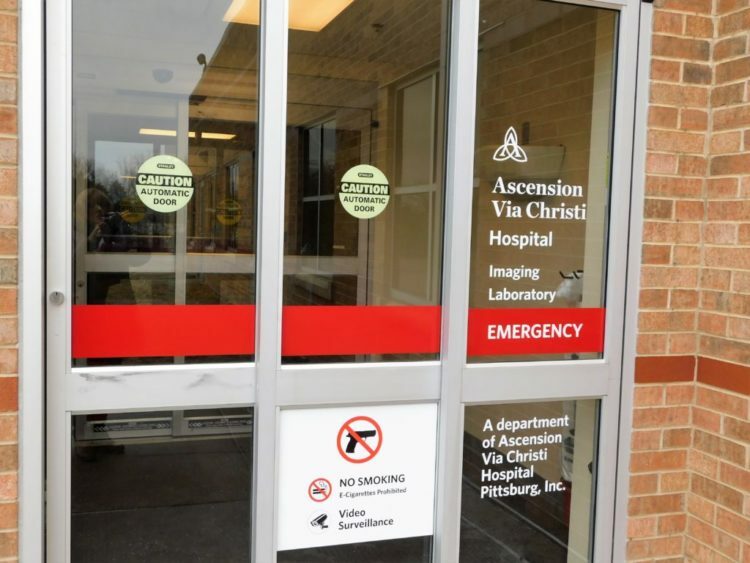 “We all agreed that the women of southeast Kansas – regardless of their ability to pay – should have continued access to this service,” said CHC/SEK Chief Executive Officer Krista Postai. 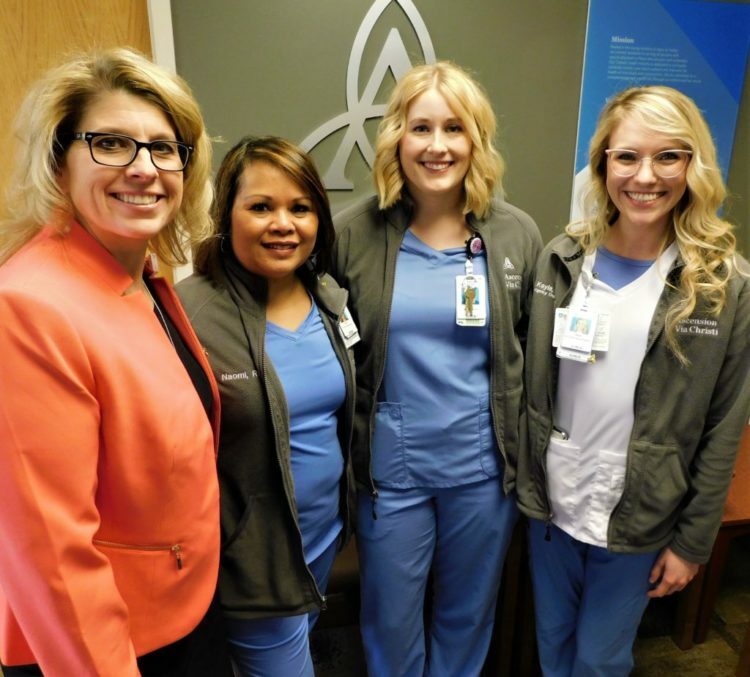 “In our discussions with staff and community members, we found that many women in the region had come to rely upon its availability.” As in the past, regardless of where a woman goes for primary care, she can make an appointment for a mammogram in Ft. Scott. 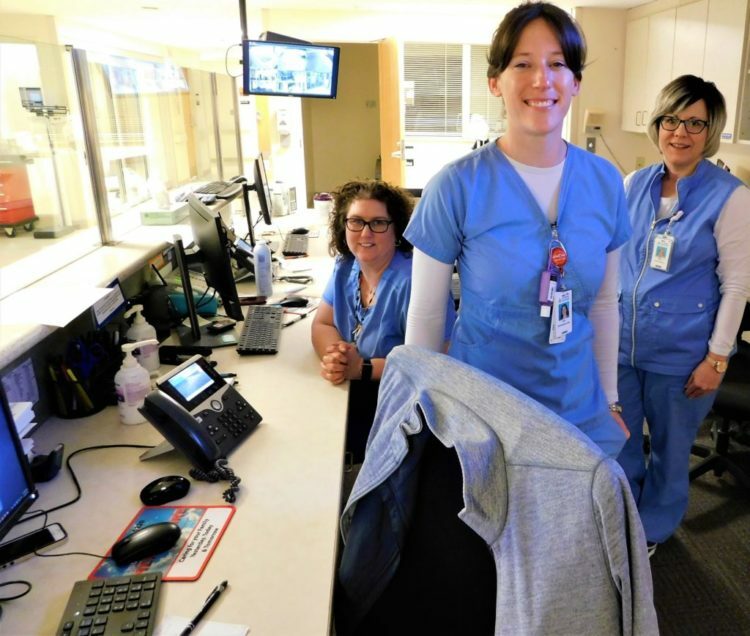 “We were surprised at how many women have used this service locally saving – for many of them – a trip to Kansas City or elsewhere,” Postai said. “That certainly speaks well for the quality of the program and staff. “We will now be able to extend this resource further making it more accessible to low-income women through special programs and discounts based on ability to pay,” she said. 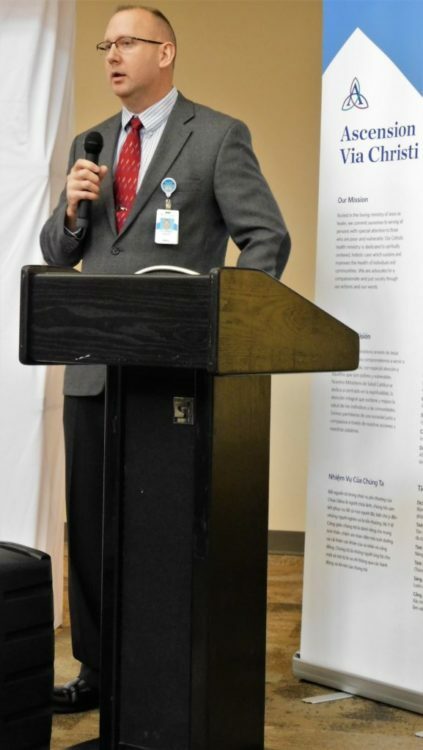 “Every woman has the right to quality screening and thanks to Mercy, the Mercy Foundation and CHC/SEK that will continue.” Postai went on to add the Foundation has contributed funding toward covering the cost for those in Bourbon County who otherwise would not be able to afford it. Among the benefits of 3D mammography are more accurate detection resulting in fewer call backs for additional tests. Because of the use of multiple angled images, 3D mammography may help detect cancers earlier than conventional 2D mammography and is especially effective with women with dense breast tissue. It also can help reduce anxiety from false alarms while also delivering a minimal amount of radiation. 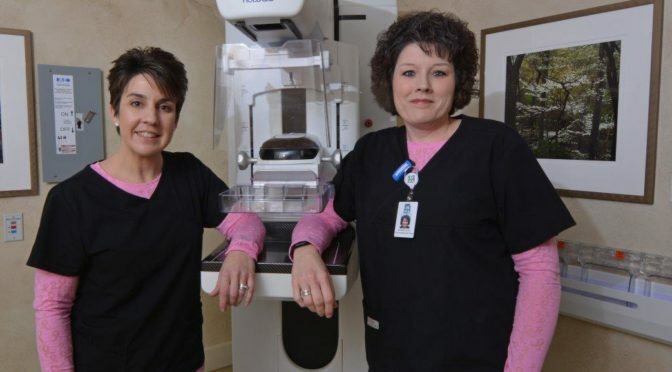 Mammography Technicians Jennifer Dugan and Suzanne Quick, well-known to area women, will be managing the program and look forward to continuing to serve women throughout the area. 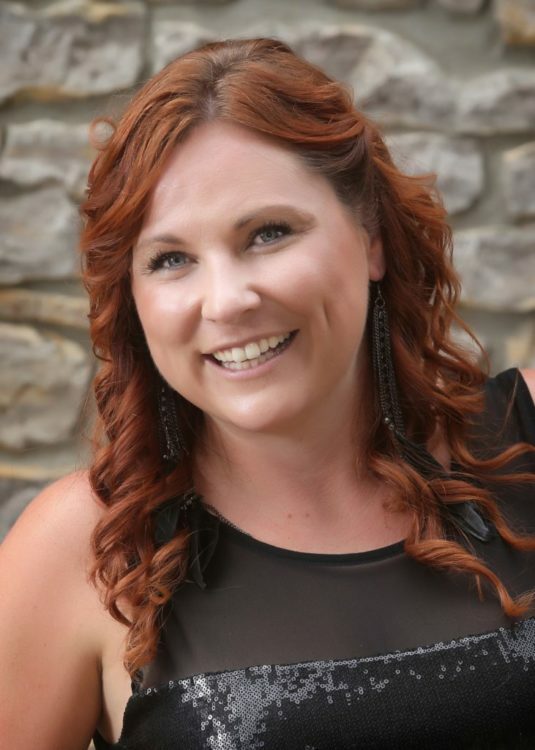 “We chose to become a part of CHC/SEK because we love their mission and the opportunity to continue serving patients in the community that we have grown to love, as well as reaching out to a whole new group of women,” said Jennifer Dugan. Finding qualified radiologists to read the mammograms was also a challenge since this equipment is usually located in a hospital or a physician-owned service. 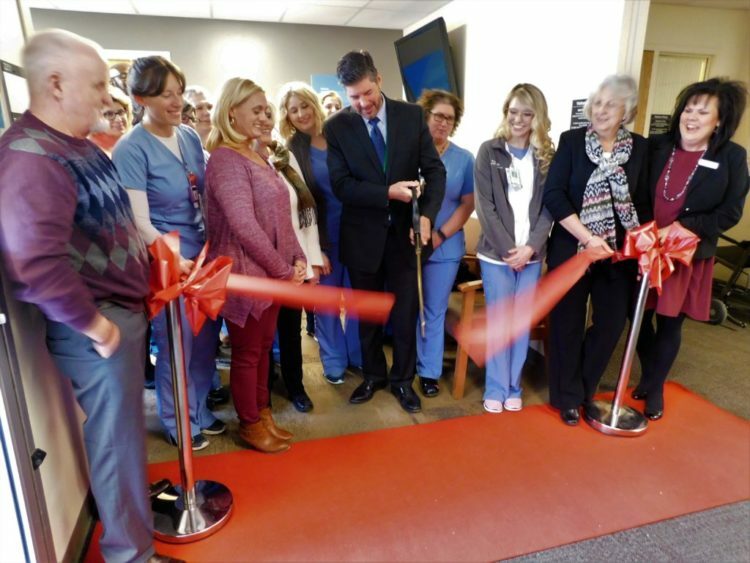 “Fortunately, Alliance Radiology based in Kansas City had originally provided this service to Mercy Fort Scott when it was started and were willing to reconnect,” said Postai. The technicians were very familiar with Alliance and had confidence they would meet local needs. “This was definitely a team effort and it would not have been possible otherwise,” said Postai adding that the community – and CHC/SEK – owe a thank you to Jennifer and Suzanne for putting their patients first. On February 6, Connie Jackson, a local resident and former Mercy employee, became the first person to have her mammogram at CHC/SEK. 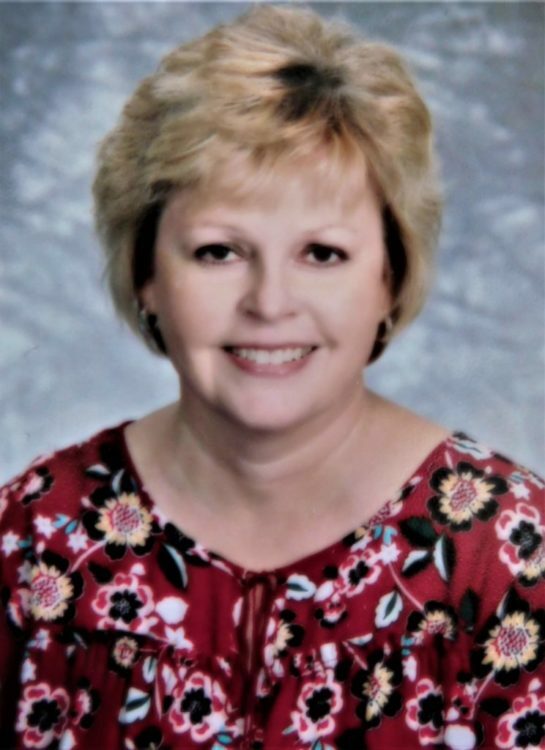 “I was scheduled for a six month follow up after having been diagnosed originally with breast cancer in January 2016. The technicians were so caring and considerate and put me at ease,” she said, urging other women to schedule this live-saving test. In order to schedule a mammogram, it is not necessary to have a local physician. Women may call 620-223-8040 to make an appointment and test results will be sent to the physician of their choosing. Mammograms can be scheduled between 8 a.m. and 4:30 p.m. Monday through Friday with expanded hours on Wednesdays to 5:30 p.m. to accommodate work schedules. Additional benefits offered through CHC/SEK include the ability to offer mammography at a lower cost with increased access. Like Mercy, CHC/SEK is a participant in the Kansas Early Detection Works program with free mammograms available to women between the ages of 45 and 64 years who do not have health insurance and otherwise qualify. More information about the program can be found on the Kansas Department of Health website www.kdheks.gov/edw. CHC/SEK also offers financial assistance and accepts all patients regardless of their ability to pay along with commercial insurance, Medicaid, and Medicare. For additional information on CHC/SEK’s financial assistance program go to their website at www.chcsek.org or call 620-231-9873. The Community Health Center of Southeast Kansas is a Federally Qualified Health Center dedicated to providing quality health care to everyone regardless of income or insurance status. CHC/SEK is a patient-owned and operated organization serving more than 50,000 children and adults annually. 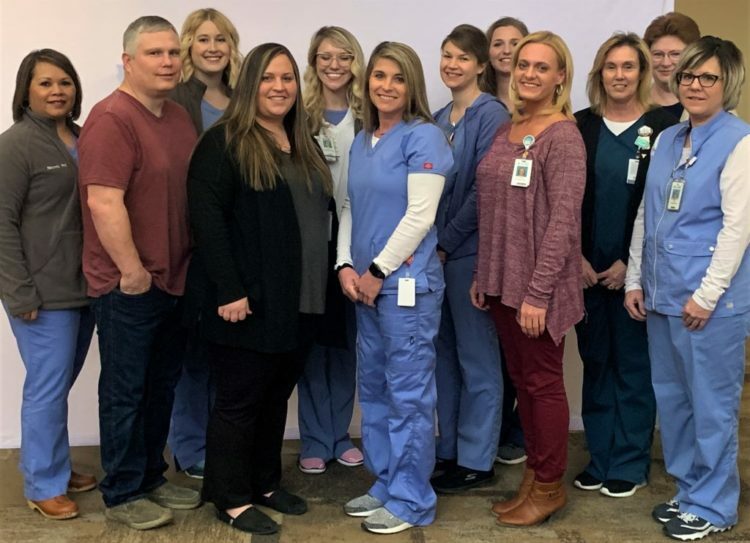 CHC/SEK employs more than 400 professionals and support staff at 15 clinic sites in Bourbon, Crawford, Cherokee, Labette, Linn, Montgomery, and Allen counties and is governed by a 13- member Board of Directors which includes patients and community representatives. 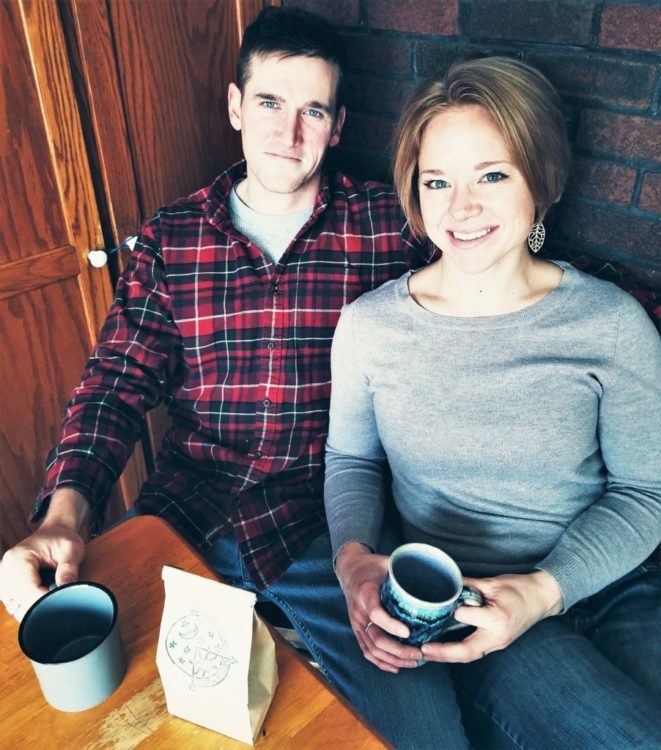 Patrick and Kristi Whalen have started a new coffee bean roasting business: Ad Astra Roasters. Patrick Whalen and his wife, Kristi, and moved to Fort Scott in 2017. 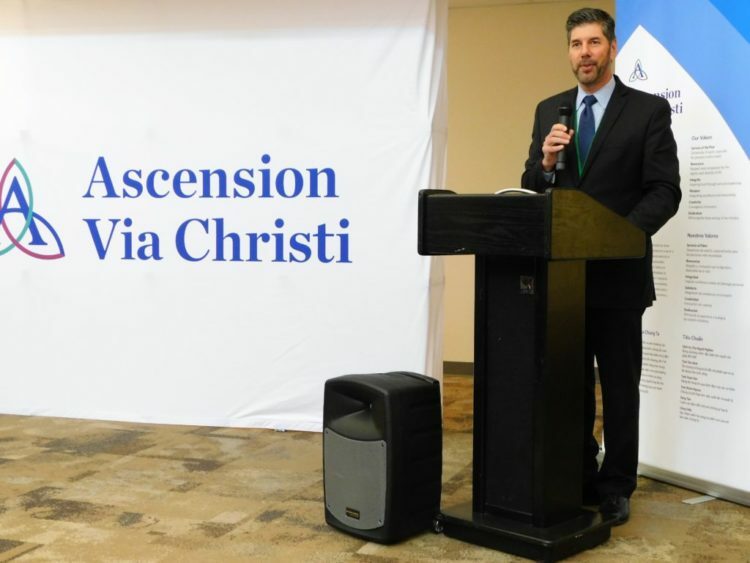 Patrick Whalen helped found and serves as the headmaster for St. Martin’s Academy, a new boy’s Catholic boarding school. An interest in good tasting coffee turned into a coffee roasting business for the couple, called Ad Astra Roasters. “I had served on active duty as a Marine for about a decade and both my wife Kristi, and I had done a lot of traveling where we developed a taste for geographically specific coffees and an interest in coffee cultures from around the world,” Whalen said. 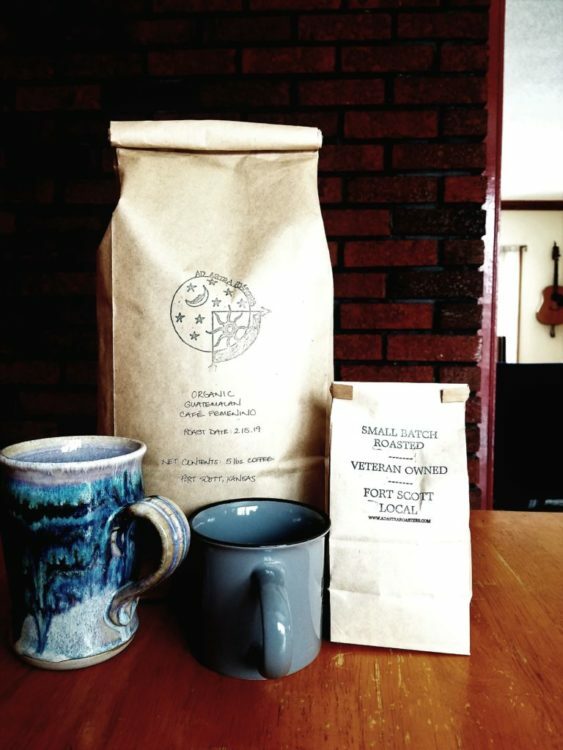 “As a result of how hard it is to find excellent coffee, I have been roasting coffee for my own family for several years,” Whalen said. 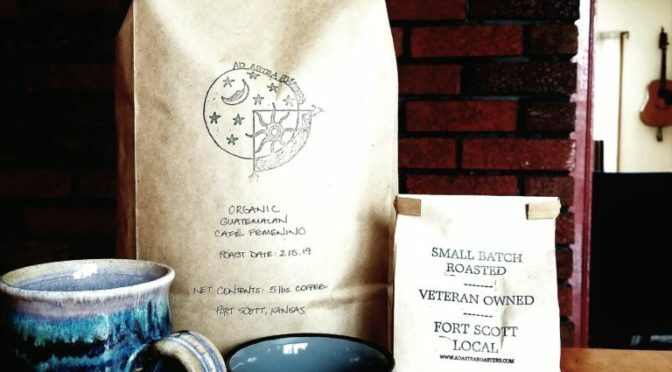 Currently, Ad Astra Roasters is based out of the Whalen home on Main Street in Fort Scott. “We have turned a section of our basement into the roastery and have our food processing and wholesale license,” he said. Their beans are from a variety of different bean importing companies around the country who have a reputation for ethical sourcing and business practices, he said. The Whalens currently sell bags of coffee at Common Ground, The Boiler Room Brewhaus, and at Root Coffeehouse in Pittsburg or online through their website www.adastraroasters.com. “Both Root and Common Ground serve our coffee by the cup, and we’re always happy to provide data on the coffee and brewing tips to make it the best possible cup of joe,” he said. The Whalen’s can be contacted at 949-331-5506 or at adastraroasters@gmail.com.